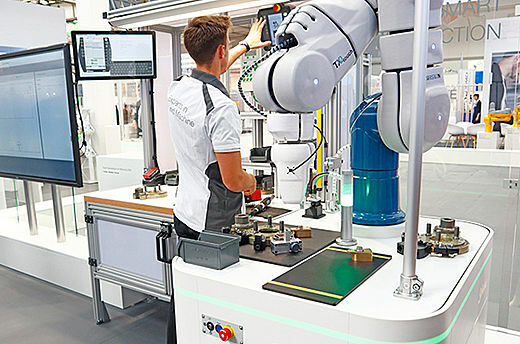 Stäubli is a global mechatronics solution provider with three dedicated activities: Connectors, Robotics and Textile, serving customers who want to increase their productivity in many industrial sectors. We are an international group that currently operates in 29 countries, with agents in 50 countries on four continents. Our global workforce of 5000 shares a commitment to partnering with customers in nearly every industry to provide comprehensive solutions with long-term support. Originally founded in 1892 as a small workshop in Horgen/Zurich, today Stäubli is an international group headquartered in Pfäffikon, Switzerland. Quick release couplings for all types of energies: hydraulics, compressed air, fuels, etc. 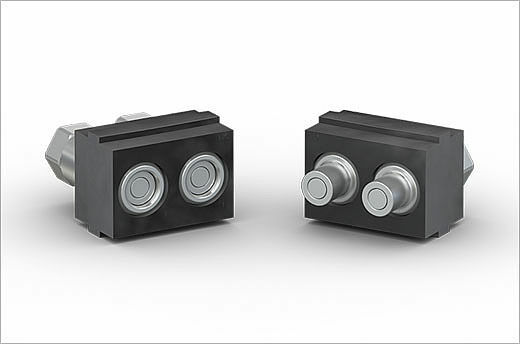 Electrical connectors for power, signal and data. Multi-coupling systems, multi-pole connectors and Robotic tool changers as well as quick mold change solutions. Robotic solutions Industry 4.0 ready, including collaborative, SCARA and 6-axis industrial robots, controllers, software featuring high productivity and performance. From weaving preparation, frame and Jacquard weaving, to carpet and technical weaving, as well as sock knitting, Stäubli offers innovative machinery systems and solutions for high quality textile production. Stäubli is a solution provider with three dedicated activities: Connectors, Robotics and Textile. Stäubli has been present in Brazil for more than 40 years. Our central unit in São Paulo city counts on application engineers and sales team for three dedicated activities.